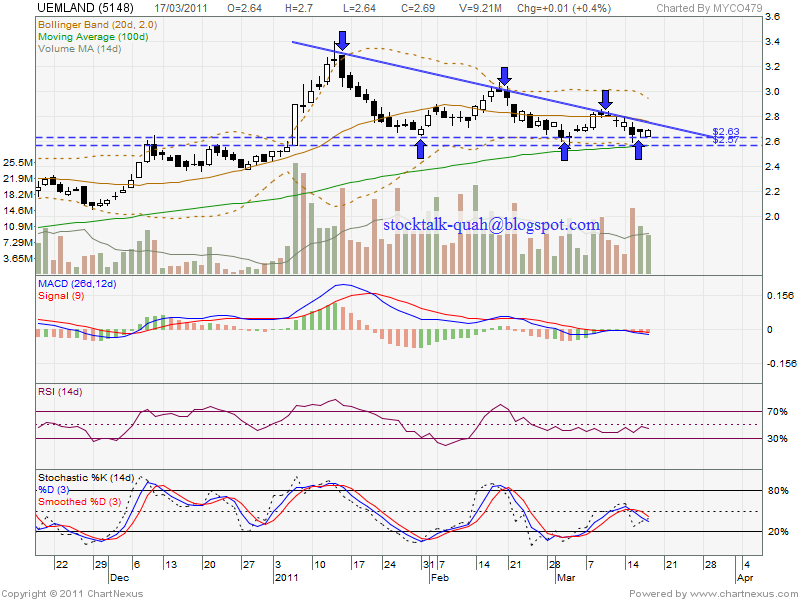 Everytime touch RM2.63 level, it will rebound. RM2.63 is current support level. 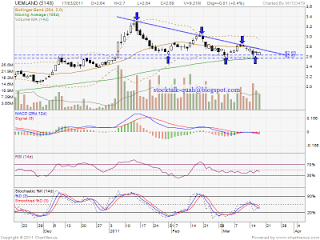 If able break above upper line of triangle, it might retest RM2.85 level.